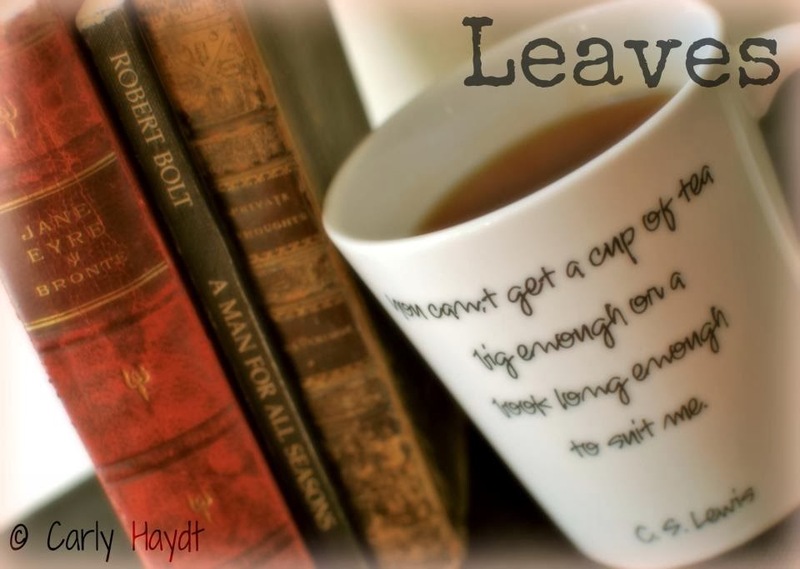 In honour of Hot Tea Month, it seems appropriate to revel a little further in our favourite leafy drink with Leaves, a celebration of the teas and books of our lives. 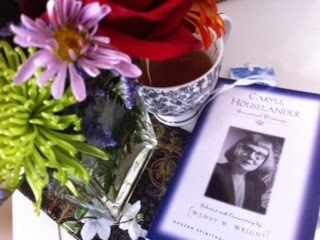 Today I am enjoying the Stormy Night blend from David's Teas, and The Essential Writings of Caryll Houselander. Have you got the kettle on? Ah, the kettle is always on here! I just finished Abraham Verghese's a Cutting for Stone, a great book especially if you have any interest in medicine. I am now reading Nomad by Ayaan Hirsi Ali. She is the Somali-born writer who escaped a life of Islamic fundamentalism and embraced the enlightenment inspired ideals of the west. It is a fascinating read and, I think, a necessary one on the dangers of encouraging immigrants not to assimilate. I'm into good old Bridget Jones Diary, giggling to myself and drinking a new-to-me black tea called Taylors of Harrowgate Yorkshire Tea. It's delish.